Good evening! We are visting Ecuador for the first time in August. We have so enjoyed your blog. How can we communicate with you directly. We would love to get together if possible and buy you a beer! I like your story, John, and your site. (I think I’ve posted here before but I’m not sure! 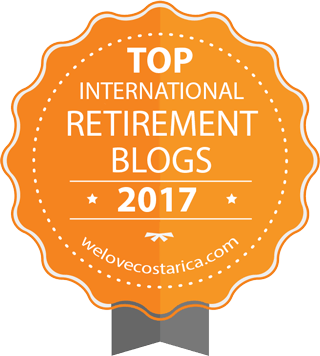 )My husband and I are also exploring possibilities for retirements — we checked out Panama last year, and will be in Nicaragua at least until March this year, then who knows…Ecuador is definitely on our list too. I believe I saw you having dinner at PalmAzul on Saturday evening??? We were the couple carrying many shopping bags up to our new apartment at PalmAzul. We love your blog and San Clemente. I discovered this gorgeous beach town when I signed up for a Spanish class at PalmAzul Nov 2011. Now it is part of our life! I am still studying Spanish and hopefully someday soon it will all sink in. I believe I told you that I have been following Nan Levin’s blog also. She hasn’t posted for 2 weeks and that is very unlike her. I understand that you may not be able to disclose any info about her, but I am concerned to know that she is ok. She is probably busy with some project. Could you please just let me know that she is alright. Thank you. Carolyn and I are making our plans for our trip to Vistazul #303 on August 30. I have a request about the chairs you blogged about 9/13/13 from a 2/20/12 email. Do you have an email address that we can communicate through more privately? Thank you Scott. We too have found many good things through Z. She is a good friend. Hi John&Mary, we are retirement planning and seeking haven in a tropical beach front that is affordable to Canadians on a pension. Can you tell me what your expected costs to move to Ecuador was or where i can find that information and what to expect in year 1? Given our age in the early 60s’, what is the coast of health insurance and re-occurring costs? Ecuador is quite affordable, after “start up” costs we lived comfortably on $1200 a month, before rent and internet. It all depends on what you rent. Prices range from $350 and upwards. We rented a furnished condo-type apartment but still needed linens, kitchen stuff etc. We haven’t checked into health insurance. You are able to get a lot of info through a wide range of groups on facebook. Some of the large “international” groups are not your best source of info. You cannot live here, especially on the coast, for $600 a month. One of the most important subjects to research is what paperwork you’ll need to bring with you for your visas. We did research for two years prior to visiting Ecuador in 2009. Fell in love with the people in our small fishing village and Ecuador seemed to meet our top requirements. So after returning Mary continued to do research while we waited for John to get old enough to collect his pension. We’ve been here two years and loving our life here in San Clemente. Good luck with your retirement plans! I’m in California, but I have a friend there — Nick, or Tio Nick. I was wondering if you know him. He lives in Sam Clemente, too. He just recently bought some property on a hill and, after doing some improvements on the building, has moved in. The thing is, nobody has heard from him for nearly two weeks. I did hear from him right after he moved into his new place, so I know he had internet and electricity. But now, nothing. We’re starting to worry about him. We, all his friends here in the States, would truly appreciate it if you could let us know if you know him. hello gringos, my name is jay and will be visiting san clemente in june for a month vacation. we intend to build a vacation home somewhere on the coast??? tell me your thoughts on san clemente, we arrive on the 6th of june so if you happen to see me wandering the beach say hello. We will look forward to meeting you. We are in the USA now for a visit, but will be back home in EC mid-May. See you in June. I follow your interesting blog and figured that you would know how to get Chirije by road from San Clemente. Am I right? Hola Amigo! Bienvenidos a nos blog! My name is Andrea, I live in Holland together with my husband Willem. He is a professional musician, I am a visual artist and occasionally a musician too. 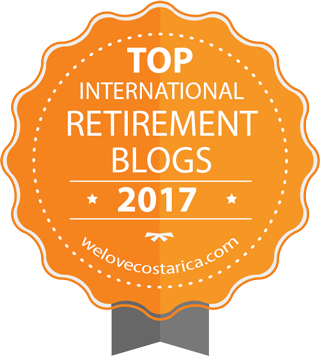 We have been following your blogs “Living it up in Ecuador” and Nancy’s “Finding our Paradise in Ecuador” for a long time. For us it is of special interest because we plan to live in San Clemente in a few years, we have already bought a plot to build our house there!. Originally I come from Quito but I did my university studies in The Netherlands, I met Willem here and …. following my heart I stayed in this wonderful country that I consider my second home for almost 18 years. The reason for this message is just to thank you and let you know how helpful your blogs are. I love your stories, they make me know my own country better, make me feel closer to it. Also, a different perspective than a local’s may be closer to mine now, after living abroad for such a long time. Your positive writings make us more sure of our decision and let us dream about the day we can live there and share with kind people like you under the pacific sun. If you would like to know more about us, you can check a blog I made for a music project we did in Ecuador in 2013. (http://the-flight-of-the-zamarrito.blogspot.nl/) We traveled around the country making music and meeting local musicians. We even had a spontaneous gig in Downtown San Clemente, in the blog you can find some pictures of that. We started from Brussels with a mixed group of musician friends (Japanese, Dutch, Curaçaoan and Ecuadorian), in Ecuador a friend from Sweden and another one, Palestinian/Ecuadorian, joined us. Great, what a mix! As the world should be! It was a wonderful project, we even had time to record a CD. (https://itunes.apple.com/us/album/the-flight-of-the-zamarrito/id768129606). Next December 2015 I’ll travel to Ecuador and I plan to visit San Clement for a couple of days with my parents, this time Willem will not come with me, he has many gigs here at home. Maybe if you have some free time we could drink a beer together? Many hugs and hopefully until soon! Thank you for you nice comment. We hope your plans to come visit and then live here in San Clemente work out. We will surely love to visit with you when you are in town. During my two week trip in Ecuador in October 2014 I learned that life in San Clemente Ecuador is very nice… indeed! Although I miss my Mom and step-dad immensely (and their grand-babies do too) I hold onto the fact that they are happy (and warm). Ohio weather is a killer and I would love to move to warmth when our own kids are all grown (10-15 years to go…lol). Thank you to everyone in Ecuador who treated me like family during my stay… you will all share a special place in my heart. God bless! Andrea – I went by De’Artagnan two or three times yesterday and did not see any guests. Perhaps we will be able to meet you today or tomorrow. Hope your trip went well. Hello John, My wife Janell and I met you in San Clemente last January and enjoyed several hours of conversation. We are concerned about you and Mary and would like to know if all is well after the earthquake. Steve and Janell – Thank you so much for your concern and best wishes. We are well, but feel so badly for our friends and neighbors who did not fare as well as we did. Hello John and Mary! I’m so glad to read that you both are ok. I’m Andrea, writing from Holland, I visited your place last December with my parents. We would like to know how San Clemente endured the earthquake. Have you heard anything from our neighbours Charlie & Sherri and Bart and his family? Take care, I hope to hear from you. Andrea, it is so good to hear from you. I am pretty sure that Charlie and Sherry were back in Texas when the quake occurred. Bart is reportedly well and has already started repairing the damage to his home. Thanks for your concern and love. Ecuador needs loving people like you and your family to keep praying for the return to normalcy. Is there a way to receive or provide seed for comparison to the tallest corn in the photo with the bicycle? Indebted.